Hey, Brenton here from Effortless Swimming. This is Feedback Friday. Got just a short video today. The quality of the video isn’t great, so I’ll just sort of keep it to two points only. In this video here you can see with the swimmer, in terms of his body position, sitting quite low in the water. Those hips and the heels are really dropping down. One of the biggest causes of that is a combination of head position but you can also see how the hand presses down a lot during the catch phase. You can kind of see what that does to the legs here. See how the legs are very far apart? That’s a big gap between the feet. We’ve got to keep the kick a lot smaller and tighter than that. Otherwise this is like opening a parachute behind you. It’s going to create a lot of extra drag. If we can fix the catch phase of the stroke, get the fingertips to point down so he can then press back behind him instead of the hand pressing down, those fingers still facing forwards. That is going to in some ways correct the legs and it will stop that big opening of the legs out the back there. 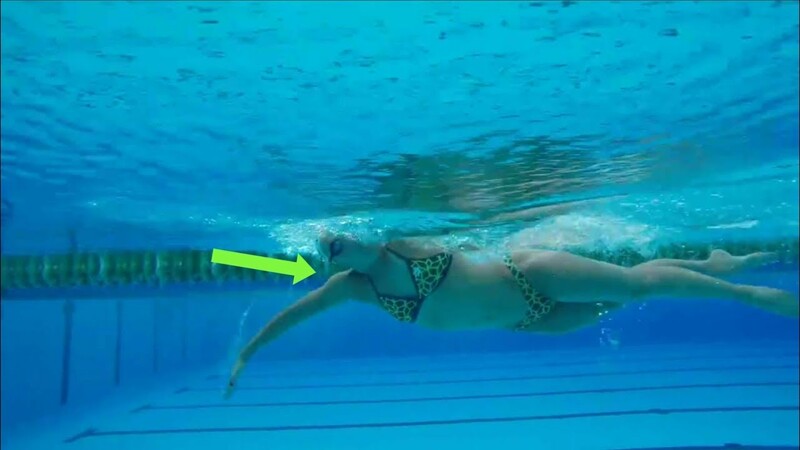 We’d want to first of all just look at the head position and start with that because a lot of errors in the stroke can be caused just by head position. You can see how far he’s looking forwards there. If we look at it in terms of we want to try and keep the body and the head and the spine all relatively straight. You can see through, all right we’ve got the spine there, then with the head forwards, it’s like having this big kink in your neck. If you’re standing just normally and you look up you’ll probably find that your core doesn’t have as good a connection through there in terms of keeping that strong and taut and you want that strong and taut as you’re swimming. If you do lift the head up you do lose some of that connection through there, so the head would be the very first thing that we would want to adjust to help improve the body position there. Core strength is a big one, so if this swimmer’s not doing any type of core strength it can be worthwhile doing even five to ten minutes three times a week of some really basic core strength exercises because it will help you in your swimming and it will help take some of this arch out of the lower back there. It’s like carrying around this big backpack of water with you if your hips are sort of sitting down this low and you’ve got this arch through there. 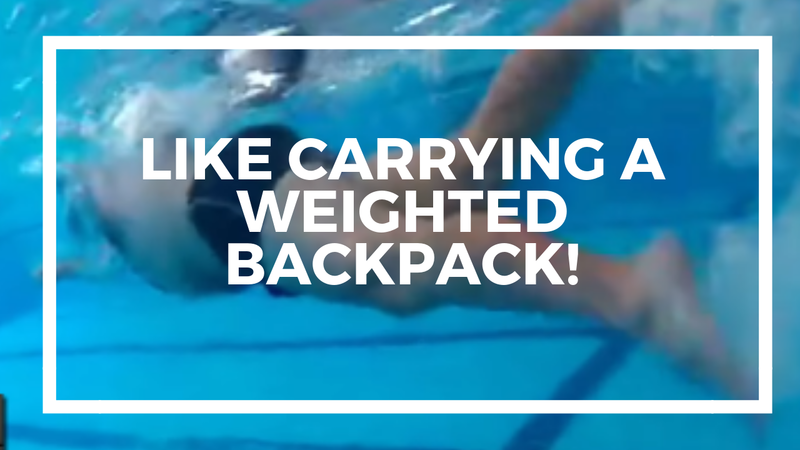 If you look at how much water’s just sitting in through there, in some ways it’s like you’re having to carry that through the water with you, whereas what you’ll see with the elite swimmers, they’ll sit up with their head, their hips and their heels right at the surface. There’s no extra water here, so there’s very little drag that’s being created. You’ll see most of their shoulders and their back is sitting just out of the water there and that’s something we’d want to work towards. That really does take a while to work on and depending on someone’s mobility through their hip flexors and their back and their spine and shoulders and a number of other things, that can impact it too. That’s something that’s really worth working towards over the course of a few months. Then with the catch, you can it’s in this fairly sort of dropped elbow position, a lot of press down on the water there. If I was working smart I’d keep it really simple. I’d start with head position, body position to begin with. I’d work on that for probably six to eight weeks just to really get that down pat and happening and changing the habits. Then I would work towards the catch and the pull through. I’d probably throw some catch drills like doggy scoop drill in there along with the head position, body position ones as well, just to start that process because it will all work together. The biggest thing there is really just head position, body position for the first thing. It can help just to really keep things simple. If you’re watching this video and you’ve watched a lot of our Feedback Fridays in the past, what I’d recommend doing is if you can pick just one thing to focus on that you think might be the one for you, stick with that for a number of weeks, focus solely on that. 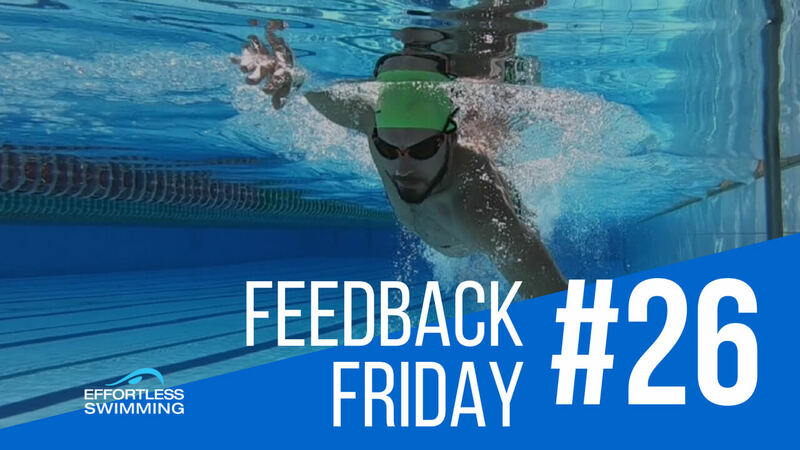 Don’t even watch the next Feedback Friday video, but just pick one thing and practice it, because one of the things that I see quite often is swimmers will try and do too much and they’ll try and work on too many different things. 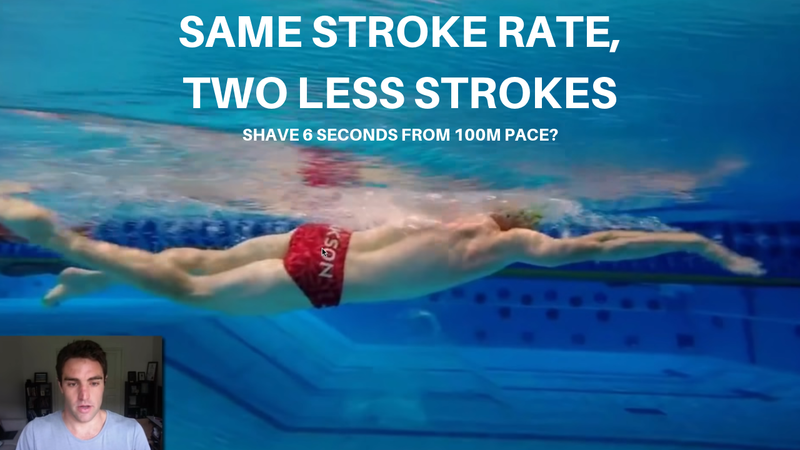 It’s this shotgun approach but you’ve really got to have this laser focused approach in swimming and that’s why I like to keep it simple when I’m working with swimmers at the clinics or through our online coaching, really just simplify it down to one or two points. Just be laser focused with your approach, don’t try ten different things at once. You’re not going to see the results with it. You’re much better off taking one at a time. Thanks for watching, I’ll see you next week and this has been Feedback Friday.